“..Будущее всегда ассоциируетcя у человека с определенного рода изменениями, в обществе, в его структуре, в человеке самом, в его психологии, физиологии, его отношениях с самим обществом, отношение с окружающей средой, природой и т.д. 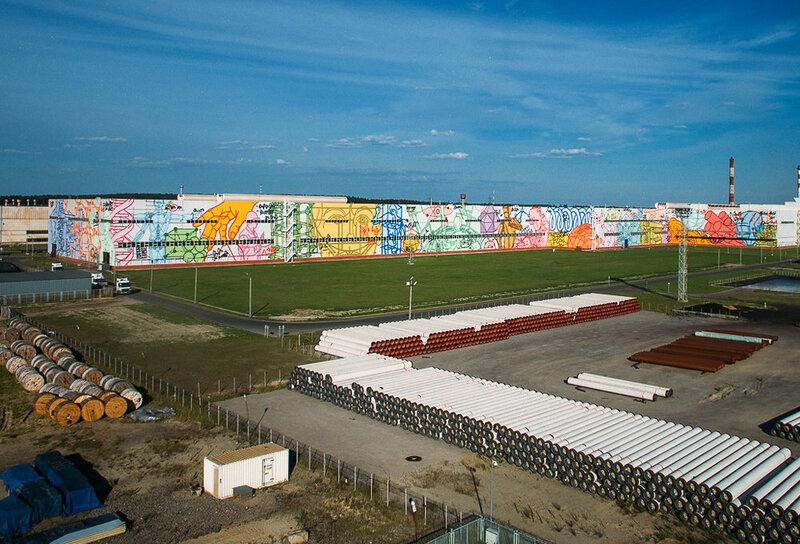 "Organizers at Artmossphere are calling this new mural in Russia the largest mural in the world. They say that representatives of the Guinness World Records are considering its inclusion in the collection of world records. 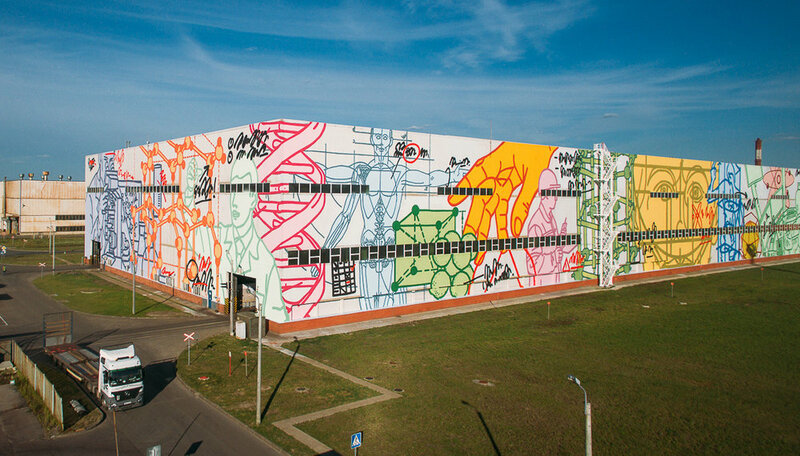 Celebrating the 260th anniversary of the metallurgical plant in Vyksa and the 25th anniversary of the United Metallurgical Company (OMK), the Moscow based painter, street artist and a graffiti-writer Misha Most and five assistants took 35 days to paint this 10,800 square meter mural this spring. 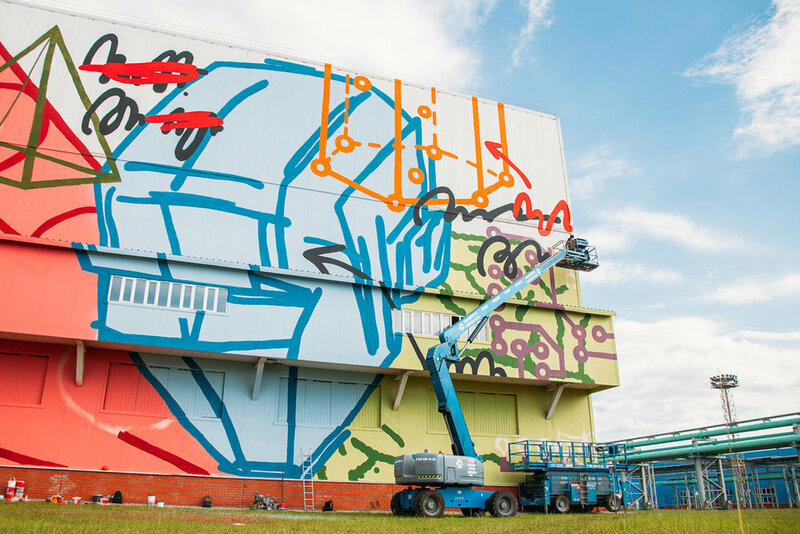 Presented to the public as part of the urban art festival ArtOvrag in Vyksa, Russia. Thematically, Mr. Most says he looked to stories in science fiction a half century ago – many about our current time. It includes elements related to scientists, chemistry, psychology, robotics, androids – basically stuff you see today going to the shopping mall, ad agency, or factory floor. 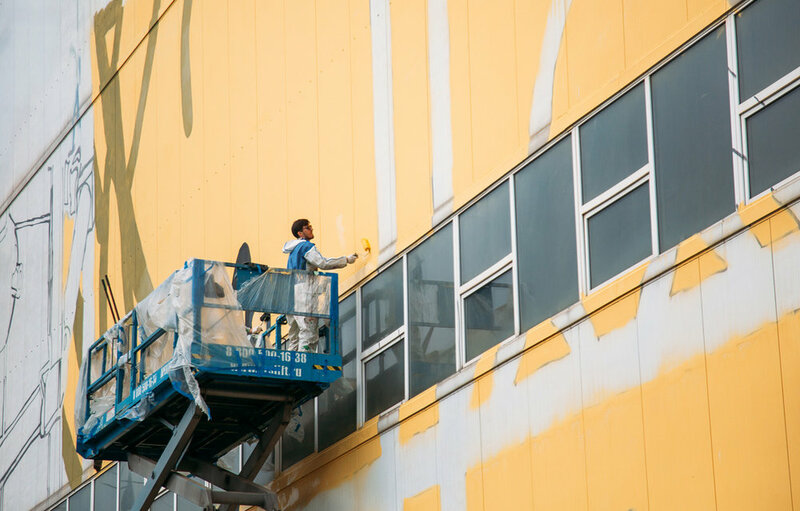 25m height, 400m length, 50 days of work, 5 assistants, 2 tons primer, 2,5 tons paint, 3 lifts. Misha Most just finished a 10.800 sq. m. monumental wall painting. 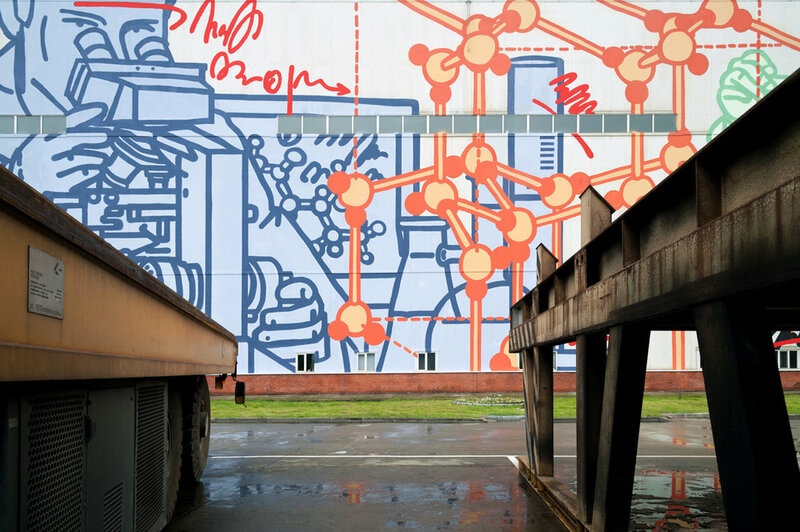 This is the largest mural in the world, which belongs to one artist. 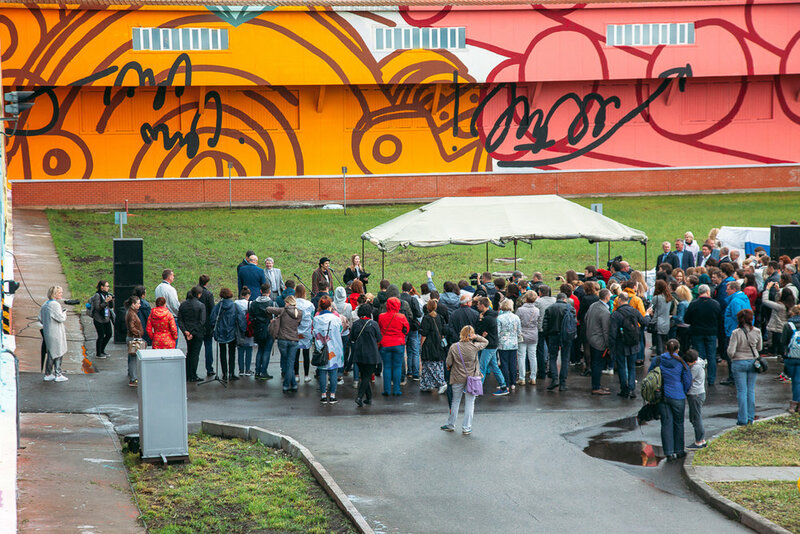 The project was curated by Сабина Чагина (Sabina Chagina) & Юлия Василенко (Yuliya Vasilenko), Urban Art Community Artmossphere.